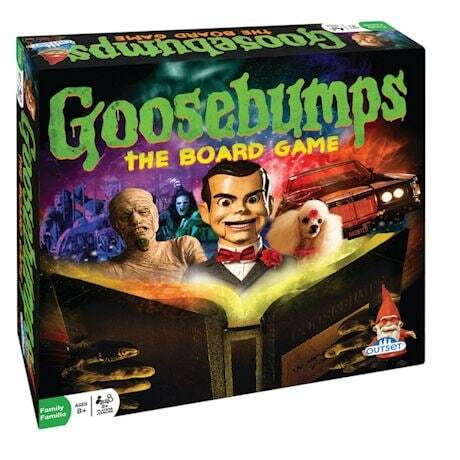 In Goosebumps® the Board Game everyone plays their favorite monster. Players battle each other in a frantic race along a trail of mayhem and manuscripts, trying to reach the typewriter before it sends them away for good. Only the first monster to reach the typewriter will be saved. For 2 to 6 Players Ages 8 and up.